Not sure if this topic belongs here or if it needs to goto the workshop. I will be working on some topics regarding terrain tips and model making in the future and it would be handy if they had a place on the forum that would be easy to reference and find. 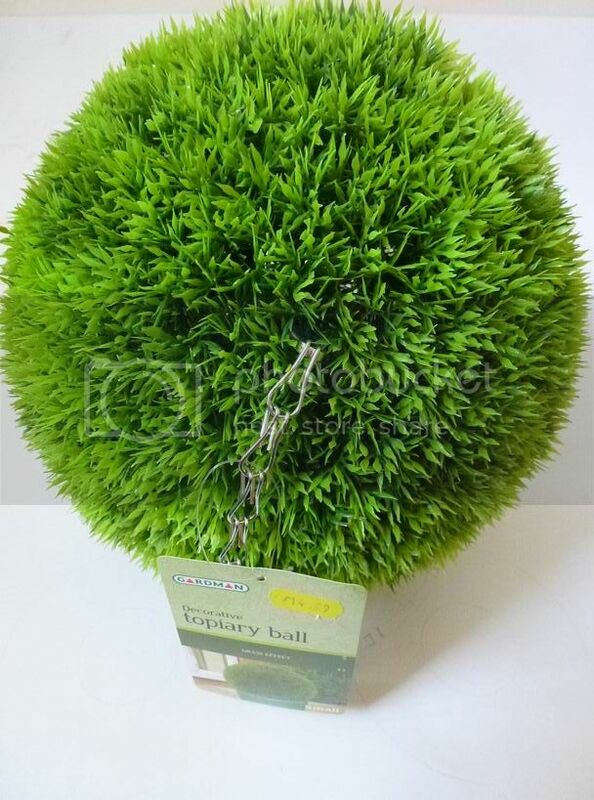 Buy a topiary ball, these range in size and price and can be bought relatively cheaply from garden centres. The two I bought cost £15 each. Each ball makes 80 large bushes which equated to just under 19p each. Buy some cocktail sticks and paint them green, slide the foliage on the cocktail stick and glue in place. You can easily make different sizes and can add flock or sponge flock to the cocktail sticks to hide the centre of the foliage. Base accordingly. 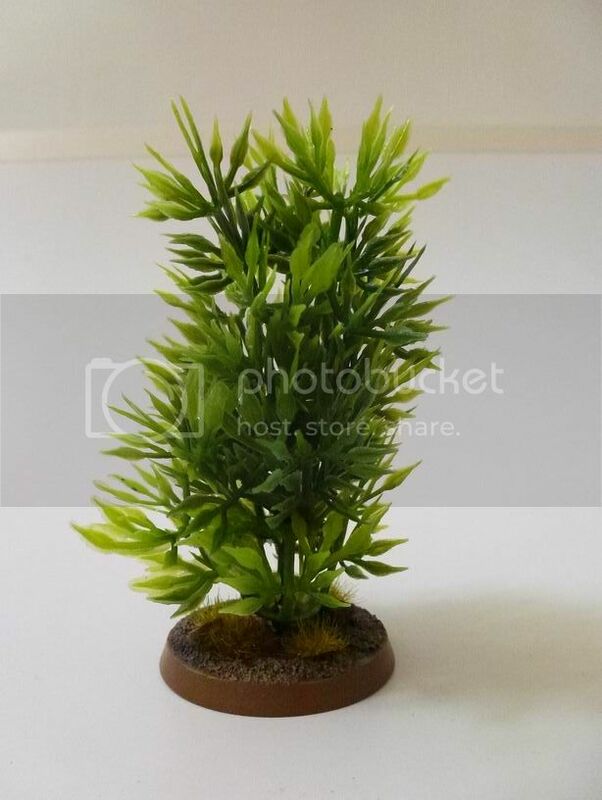 Sometimes the foliage can be shiny, spraying it with Tamiya flat clear resolves this issue. If required you can spray paint the foliage different colours also. looks great. Can we see some pictures with models for scale? Looking at this picture, I see a circle with 4 stems at the lowest point, and then you have added another 'circle' above it. 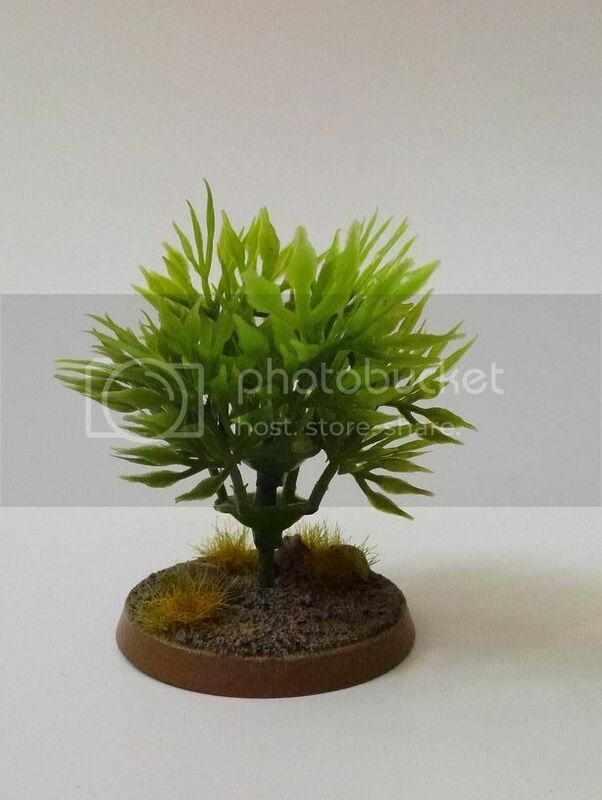 I am assuming that the original big 'bush' is made up of lots of these smaller pieces, and so you can make these as tall as you like. 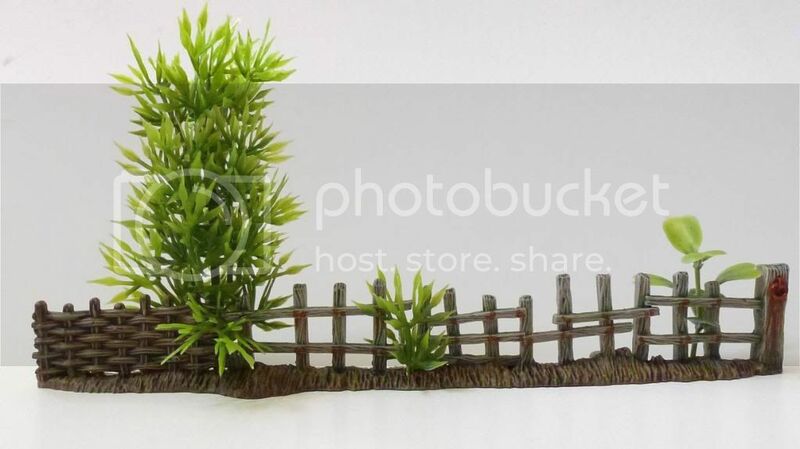 Are cocktail sticks the best thickness to match the holes, or are there different sizes of foliage? 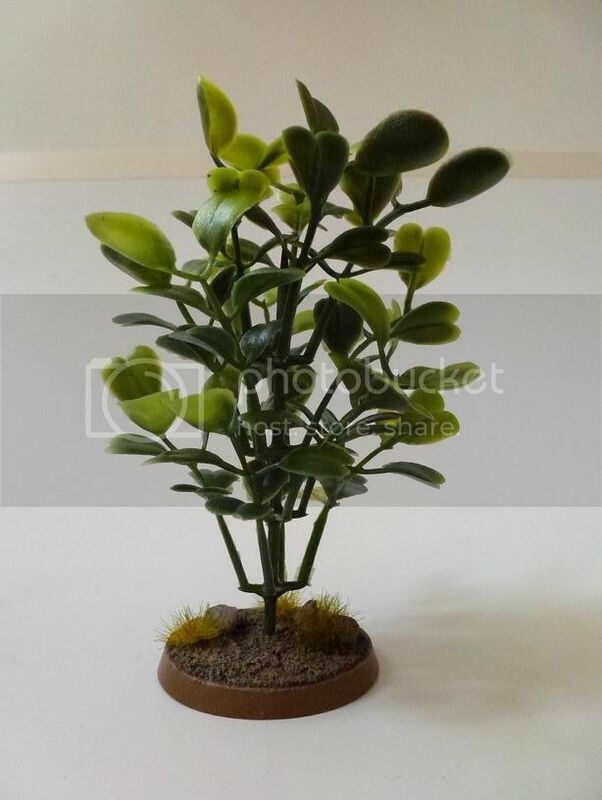 It is possible to get some plant supports stained in a dark green colour that would be a natural for this, as long as they weren't too thick. This is a great tip Bish. I would be tempted to add all your planned terrain tips and projects into one thread, and if necessary I could sticky it as it grows. Ideally we want to revive the Workshop as it was intended as a home for this sort of thing. The theory is that articles start off as threads in an appropriate main board and then they are turned into finished articles in the Workshop, Library or War Room. Great idea! 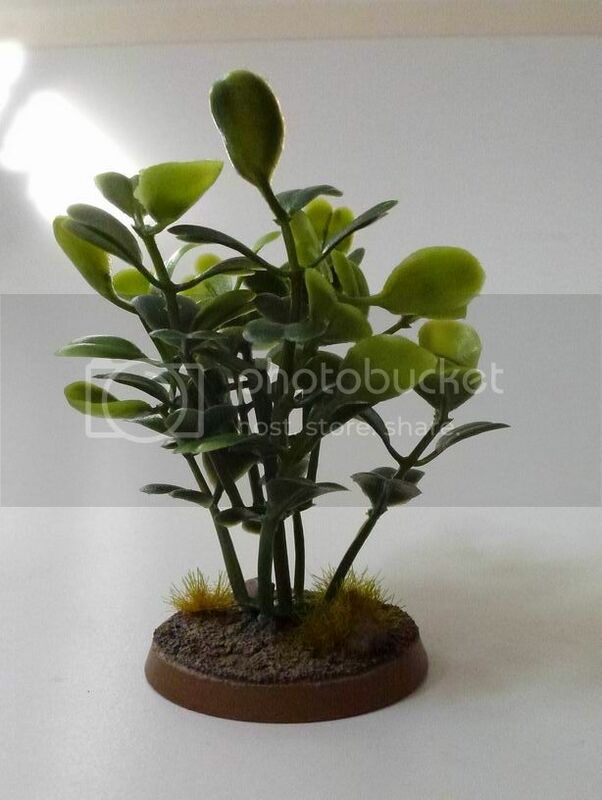 These type of plants look very suited to a Listria jungle or deathworld theme. 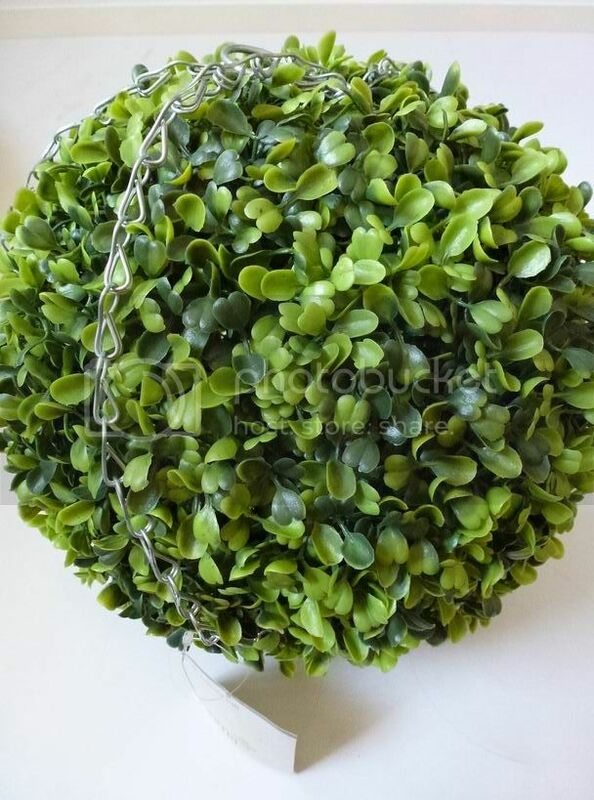 The topiary ball is made up of about 200 clusters each containing 4 stems with leaves on. You pull these off and attach to cocktail sticks. I will continue with adding them here and when I have answered peoples questions and ironed out all the creases it would be good to have a polished final version in one thread. Thanks for the questions and clearing up the grey areas. Very nice. 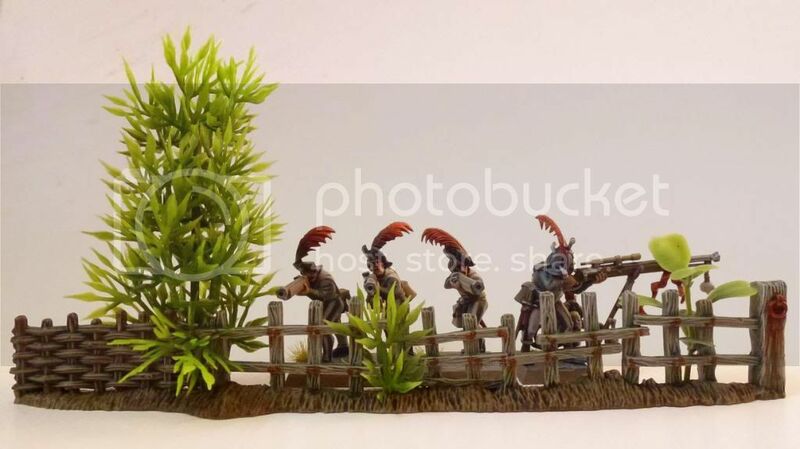 I love the way you used them with the GW fence, too. Any chance of few photos with some figures, so we can see how they measure up? A picture with models for scale.